The zombies have arrived! Are you prepared for this amazing Trilogy! 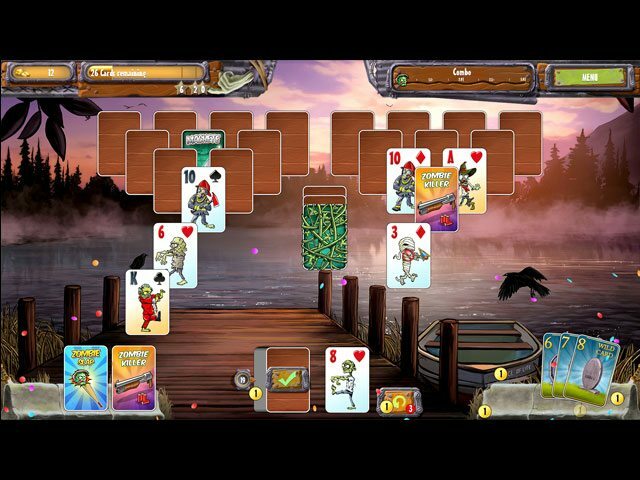 Get all three games of Zombie Solitaire 2 in one cool pack! After the outbreak of the first zombie epidemic many survivors managed to escape to an island. But they're in for a nasty surprise. When leftovers of the contaminated tofu regrettably end up on the island, another zombie invasion begins. Is there still any chance of survival? Now your nail-biting escape back to the mainland starts. 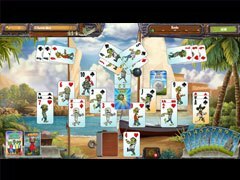 Enjoy many challenging solitaire matches and entertaining mini games as you find your way back through a land full of swaying undead and make sure you don't miss that last flight to safety. 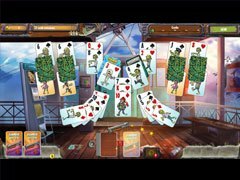 Once again, many challenging Solitaire matches chockfull of fun surprises are waiting for you, but don't let those pesky zombies get you. Striking the undead with a diabetes Z sugar shock is your most effective weapon. So, make sure you always have enough sugar ammo ready! Stay calm during your entertaining multiple-choice adventures and make the right decision. Escaping the zombie apocalypse has never been that much fun! Your madcap escape from the genetically altered tofu burger infested Zombies eventually leads you to Egypt. But even there the Zombie invasion is spreading relentlessly. Is there still any hope? A hint leads you to the ultimate Zombie hangout, and off you go, straight through the country, well equipped with plenty of sweets to chase away those pesky critters with some serious sugar shock. Look forward to fun adventure puzzles and multiple-choice quests, which will lead you closer and closer to your destination. 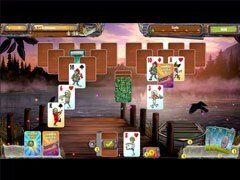 Face off against Zombies in exciting time management duels and Match 3 battles. Are you ready for the most hilarious showdown ever?